Thinking of starting a career in financial planning? The Series 7 exam is the first step to your career success, whether you’re fresh out of college or making a change. This comprehensive guide will tell you all you need to know about the Series 7 exam: what it is, what it does for you, and most importantly, how to ace it. Use our resources to organize your learning and get the best study tips from top trainers. Read on to find out all the important details about the FINRA Series 7 exam and how to pass it with confidence! The Series 7 exam is a test that assesses the knowledge and competency of registered general securities representatives. It is intended for entry-level reps and it prepares employees with the critical skills needed to trade general securities. 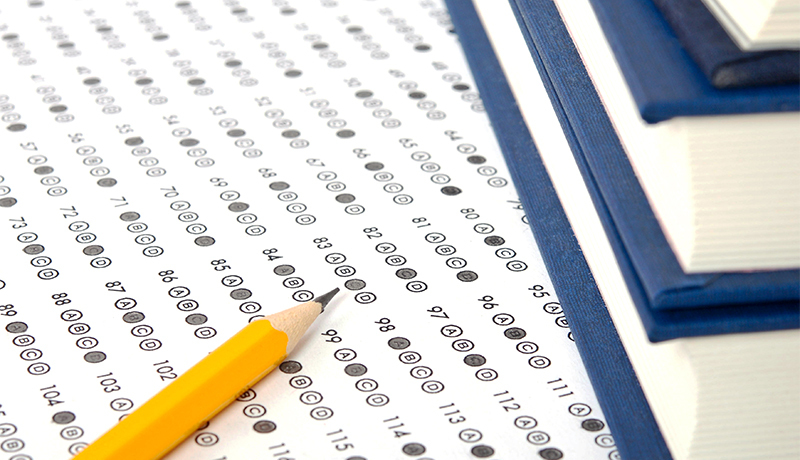 In the United States, the exam is administered by the Financial Industry Regulatory Authority (FINRA). 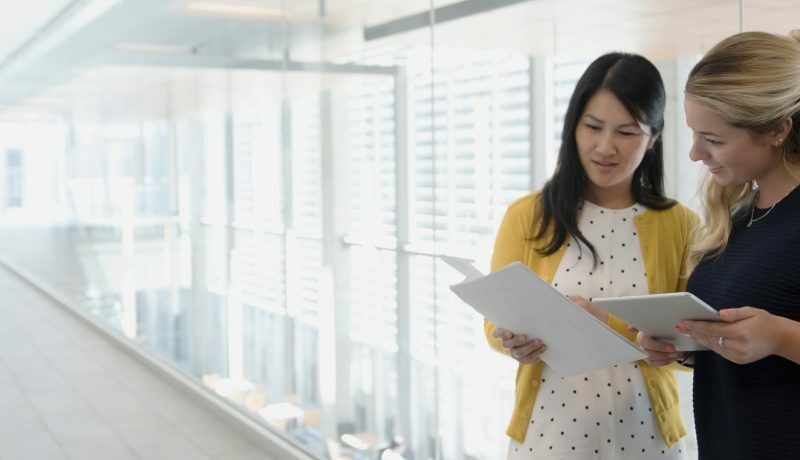 Obtaining a Series 7 license is one of the essential steps that a member firm associate must take in order to register with FINRA. What Do You Learn in the Series 7 Exam? The Series 7 test, also known as the General Securities Representative Exam (GSRE), prepares candidates to solicit, purchase and sell securities products. You will learn the key skills needed to answer client needs and become familiar with a wide range of financial terms as well as securities regulations. The test covers stocks, corporate bonds and CMOs, government securities, options, mutual funds, variable annuities, and limited partnerships. The series 7 license does not cover the selling of real estate or life insurance products. Who Should Take the Series 7 Exam? The purpose of the exam is to set a level of competency for any registered representative or stockbroker entering the securities industry, which means that any entry-level broker should take this exam. You must pass the Series 7 exam in order to take other principal exams offered by FINRA, such as the Series 24, which enables a registered rep to supervise and manage branch activities. Other licenses such as the Series 63 or 66 should follow the Series 7 license. Remember that the exam is intended only for people who are affiliated with broker/dealers. As such, a student must be sponsored by a broker/dealer to sit for the exam. This means that you must apply through a firm that will agree to pay for your exam. While you don’t need any qualification prerequisites for the Series 7, it certainly helps to have some background knowledge or some experience in the financial industry. Starting in 2018, FINRA will change the structure of the exams by introducing a prerequisite core exam called a Security Industry Essentials (SIE) exam. Candidates will be able to sit for this core qualification without sponsorship from a FINRA member firm. However, everyone will still need to apply through a firm to sit for a specialty top-off examination. Is the Series 7 Necessary if I Want to Trade for Myself? The Series 7 license prepares you for dealing with client portfolios, focusing on day-to-day tasks such as evaluating customer security holdings, opening accounts and making suitable recommendations. Therefore, if you are not employed in this industry and are only seeking to trade for yourself, you may not necessarily benefit from this qualification. In the exam, you will have to answer a total of 250 questions. In addition to these, you also get 10 unscored pretest questions. The test takes six hours to complete and your time is divided into two sessions of three hours each. You have a one-hour break between the two exam sessions. You may also take restroom breaks at any point, however, you may not stop the exam clock in this case. You must get a mark of at least 72% (equivalent to a C- grade) in order obtain your Series 7 license. This means that you have to give a correct answer to a minimum of 180 questions out of the total 250. As a general rule, when you are studying for your license, you should score at least 80-85% in your practice tests to make sure you are well-prepared for the real exam. Is the Series 7 Certification Exam Hard? Though it may seem a bit daunting, especially if you have no industry experience, the Series 7 is, in fact, a medium difficulty exam. With enough study time and the right guidance, anyone can get their Series 7 license, regardless of previous experience. Some people who are already familiar with financial terminology choose to study independently for the Series 7 license. However, nothing can guarantee your success more than enrolling on a comprehensive course delivered by professionals. 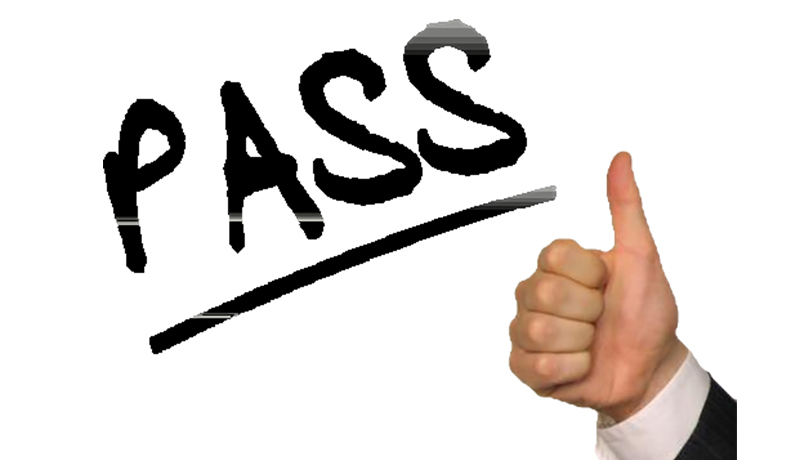 On average, the pass rate for the Series 7 exam is around 65%. Comparatively, about 86% of candidates pass the Series 63 on their first attempt. TIP: Did you know that FIRE has the highest pass rate in the industry? Over 90% of the candidates on our Green Light Plan pass their exam successfully. Find out why! How Many Attempts at the Series 7 Am I Allowed? You may sit the exam as many times as necessary. However, there are some rules about how much time must pass between two attempts. Typically, you must wait a minimum of 30 days after your first and second attempts before you can sit again for the exam. After a third failed attempt, you must wait at least 180 days (6 months) before you can try again. Can I Cancel or Reschedule a Series 7 Exam? Yes, you may cancel or reschedule an exam, but Keep in mind that you might have to pay a fee. If you cancel at least 10 business days in advance, no fee applies. If you announce it between 3-10 business days in advance, a fee applies. If you cancel later than 2 business days in advance or fail to show up for the exam, you must pay a fee equal to the amount charged for the exam. How Much Does the Series 7 Exam Cost? You pay a fee of $305 for each Series 7 exam attempt. Avoid paying extra by preparing adequately, with our ‘no pass, no pay guarantee’. When you invest wisely in professional training and study materials, you don’t have to risk a second attempt that will drain your time and resources. When Can I Take the Series 7 Exam? You may take the Series 7 on any weekday, so long as you schedule your exam slot in advance. A Form U-4 must be filed to open a window with FINRA, before scheduling an appointment with either of the authorized testing centers – PearsonVUE or Prometric. You must to arrive 30 minutes before the scheduled start of your exam to allow enough time for preparation. Bring a government-issued photo ID, such as a driver’s license or passport and expect to be fingerprinted when checking in. No personal items are permitted in the testing room, which means that you’ll have to store them in a provided locker. You’ll receive a calculator, earplugs, pencils and scratch paper or markers and dry-erase sheets from the testing center. When Do I Find Out if I Passed the Series 7? You will get your test results as soon as you submit them. The testing center will then notify FINRA, who in turn will make this information available to your firm via Web CRD, FINRA’s Central Registration Depository. Structured learning at a steady pace, as well as regular review and improvement of weak areas are the key components of an effective strategy. As you can see, their categories are broad and sometimes ambiguous, so we cannot correlate them directly with our modules. As such, you must be prepared to answer questions from all modules. How Much Should I Study for the Series 7 License? Everyone’s prior knowledge is different and your learning curve will likely be influenced by your experience in the industry. However, don’t assume that you don’t need to study if you have a background in the general securities sector. If you are new to the subject, expect to dedicate between 150-175 hours of study time towards your Series 7 exam. This includes reading time, quizzes, practice tests, and tutorials. You can learn all that you need to know in a six-week full-time course. Alternatively, you can take an extended 12-week course, if you are preparing for the exam alongside your studies or full-time job. Once you’ve enrolled on the course or decided when you will be taking the exam, create space in your daily routine and study daily, preferably around the same time of day. Many of things you learned in school about taking exams will still apply here, so make use of them in your learning process. For instance, don’t cram in the days leading up to the exam. Break down the materials into bite-sized chunks and assimilate them gradually. Spend enough time studying. Track your time to make sure you allocate sufficient daily or weekly hours. Don’t try to memorize the answers. This will only confuse you. Instead, spend enough time understanding the concepts, so that you can apply them to various situations. Test, Review, Improve: make sure you take quizzes regularly, at least at the end of every chapter or module, in order to assess your understanding as you go. Find your weak points and review the theory before practicing again. TIP: Use the FIRE app to test yourself anytime, anywhere. Ask questions when you don’t understand. Ideally, you would discuss difficult topics with tutors during a live tutorial delivered by an expert trainer, but you can also ask a colleague or another qualified professional. Take plenty of practice exams. Time yourself and do some mock exams so that you can get used to the exam format. Don’t go into the real exam until you’re scoring consistently over 80%. To maximize your chance of success, choose an online course that also guarantees support from trainers. This way, you’ll get detailed explanations for the questions that you don’t understand and you’ll be able to improve your skills more quickly. Enroll on a FIRE course and take advantage of our free unlimited support from expert trainers, by email or phone. Make sure that your Series 7 study materials are always up to date. This means that you should never use any books or materials which are more than one year old. Regulators change the rules ever more swiftly in order to keep up with the changes in the market. We recommend that you break down your exam preparation in 18 modules in order to cover the main topics, as below. For more details on how to get ahead, take a look at our 6-week syllabus or 12-week syllabus devised by professional trainers. You can also get a taste for our teaching style by viewing a Series 7 exam prep tutorial. Why Should I Take the Series 7 Exam? You are required to pass the exam if you want to start working as a general securities representative. The Series 7 license is your first step towards an exciting career where you never stop learning. The Series 7 license gives you the best leverage if you want to become a financial advisor or planner, even when you don’t have a college degree in the field. It’s also a great asset if you’re thinking of changing careers. The financial industry is highly competitive and it may be difficult to get a firm to sponsor you at first, especially if you have no previous experience in the field. However, once you get your foot in the door, your salary can pick up quickly if you can demonstrate motivation and commitment. If you’re embarking on a career in the financial industry, the Series 7 exam can be your first opportunity to prove your efficiency and perseverance. To maximize your chance of success, allow enough time to study for the exam and make sure you don’t simply memorize, but really understand the key concepts. Remember that you can always ask one of our trainers if you want to be 100% sure. We’ll even give you a “No-pass, No-pay” guarantee, so you really have nothing to lose. NASAA has updated the test specifications for each of its examinations to better reflect the skills and knowledge needed by broker/dealer agents and investment adviser representatives in today’s ever-changing financial industry.